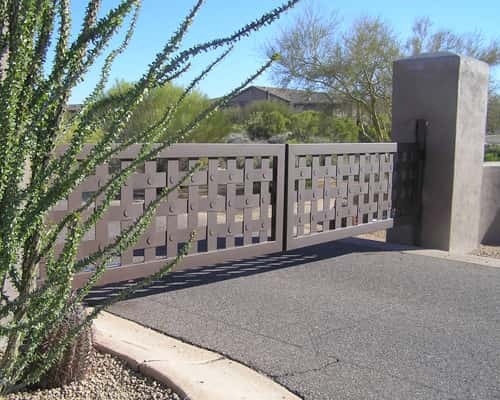 Sun King Fencing & Gates manufactures and installs custom decorative iron gates for homes and businesses across Phoenix. Call 602-989-0839 for a custom quote. Add style and security to the entrance of your home or business. One of the most beautiful and secure accents that you can add to the entrance of your property is a decorative wrought iron gate. 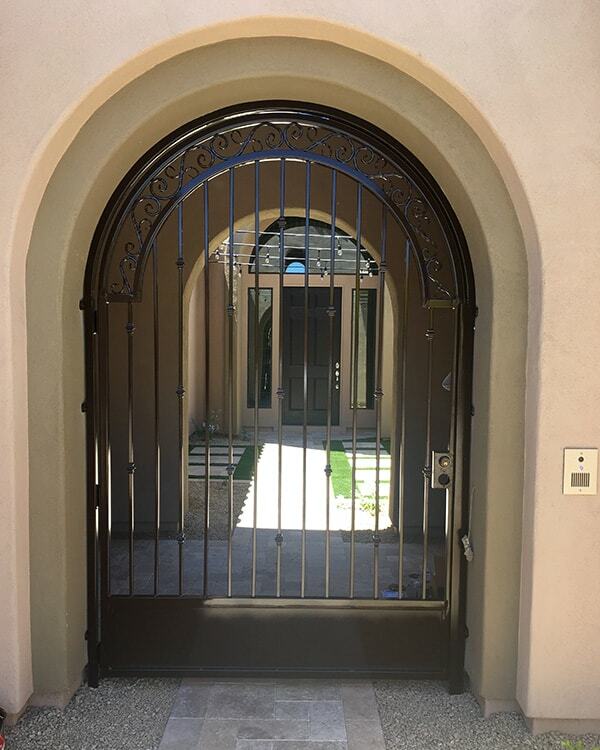 Sun King Fencing & Gates continues to install high-quality wrought iron gates throughout the Phoenix Metropolitan Area for home and business owners. 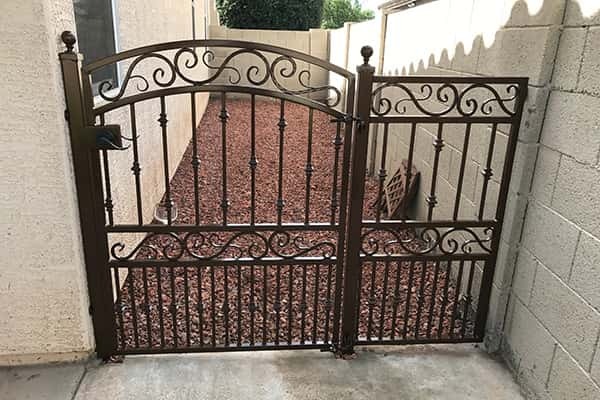 The decorative wrought iron gate specialists at Sun King Fencing & Gates will gladly come to your home or business and help you select the perfect design and application for your iron gate. With the wide variety of designs and styles that we can customize to perfectly accent your home. If we haven't built it before, we will work with you on a custom design. Choose from a variety of styles and features for your decorative wrought iron gate. 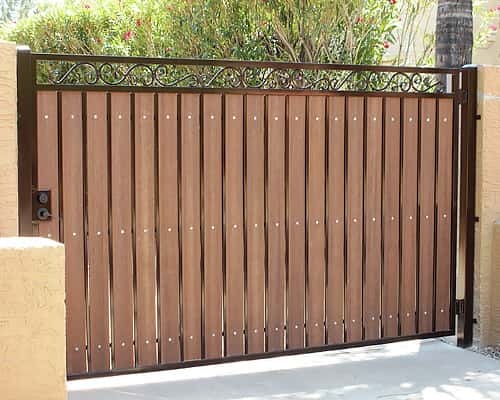 Have a design in mind for your gate? We can make it a reality. We are a licensed, bonded and a registered contractor giving you assurance of professionalism and protection. 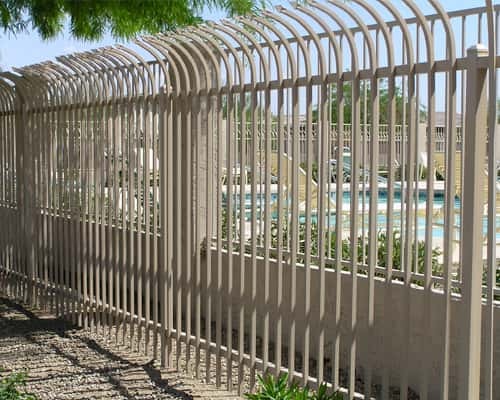 At Sun King Fencing & Gates, we pride ourselves on providing timely estimates for your security gates. Plus, each estimate can be adjusted or modified to meet your specific needs and budget. Let us help design and install a custom wrought iron and composite wood gate to meet your exact needs. Give us a call at 602-989-0839 or email us using the provided form.